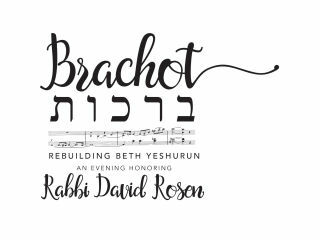 Congregation Beth Yeshurun presents Brachot, an evening of beloved Judaic melodies, Broadway, and opera. The concert will feature original music composed by Cantor Meir Finkelstein and feature the Houston Symphonic Ensemble & Chorus, conducted by Richard Bado. The concert will honor Rabbi David B. Rosen.